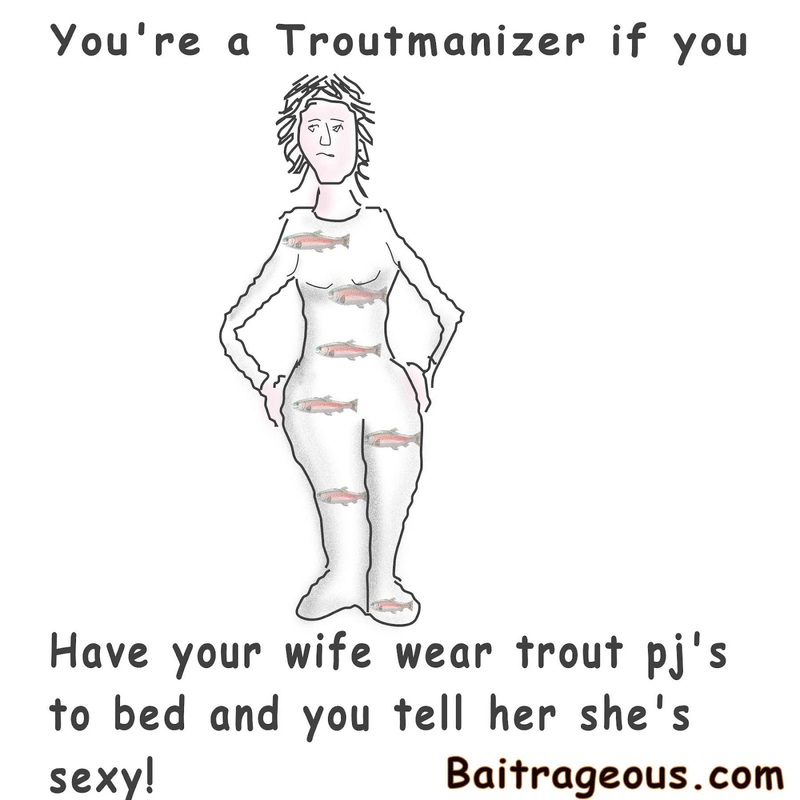 BaitRageous: Troutmanizer Number 8, Having your wife wear trout PJ's. 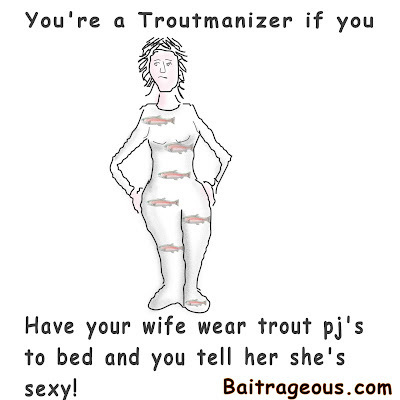 Troutmanizer Number 8, Having your wife wear trout PJ's. Top ten signs that you are a Troutmanizer, number 8. This is one of my favorite. Hmmm......... what else can I say! Larry, you think that will work for me, even at my age! I think it might, Mel!